For Jasmin Snodgrass (BSBA ‘20) and Kathryn Eifert (BSBA ‘20), being a student in the Heavener School of Business is just a piece of the puzzle that makes up their involvement at the University of Florida. 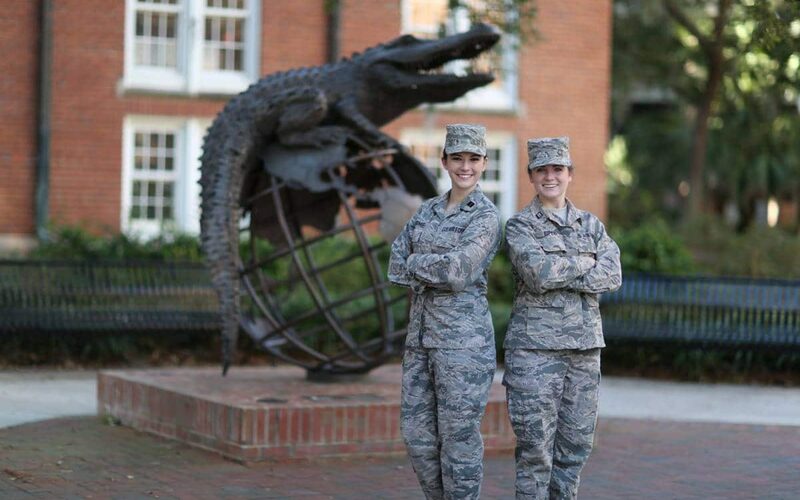 Outside of pursuing their BSBA degrees, both of these students are cadets in UF’s Air Force ROTC program. Cadet Eifert began coursework in the program her second year at Heavener. She describes her “Aha!” moment that lead her to officially joining at the beginning of her third year. Eifert’s undergraduate journey is similar to a lot of students. She began in a different major, completed an internship in that field, and decided that was not the path she wanted to take. This decision led her to changing her major to management in her third year. If you speak to Eifert, you will know immediately that this is where she was meant to be and that she could not be happier. For Cadet Snodgrass, being in the military runs in the family as well. Snodgrass’ father was both in the military and studied business while an undergraduate student. 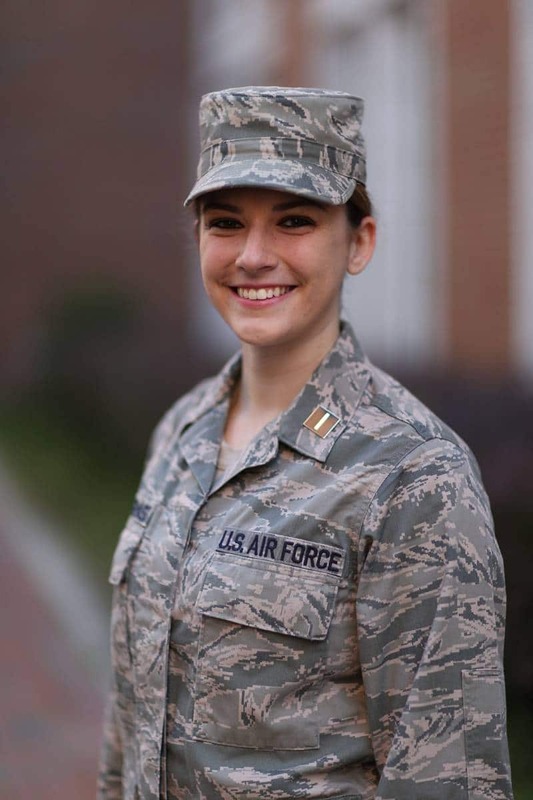 Now a junior at UF, she says with confidence that being a cadet in AFROTC while pursuing a business degree, “coincide beautifully!” Snodgrass feels being in the AFROTC program gives her the opportunity to apply the knowledge and skills she’s gained from her business coursework to real world scenarios. As for her career path, Snodgrass did not always know she wanted to pursue her now chosen field of hospital administration. 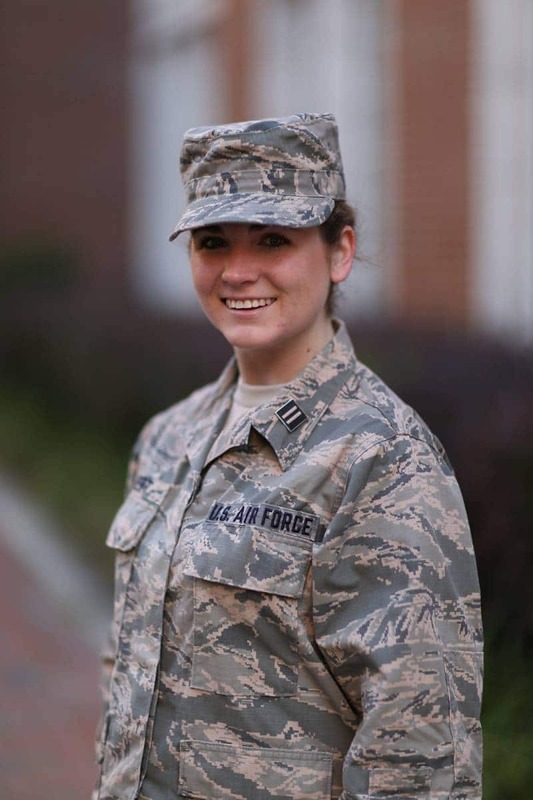 As a first-year student in AFROTC, she met many students pursuing different majors. While the professional goals of each individual were different, she describes how the inherent values of her peers in AFROTC were similar. While she may not have known which career path to choose initially, she knew that this was the group of people she wanted to be surrounded by while making that decision. Both Snodgrass and Eifert exemplify exceptional leaders, and each echoed the other when asked about their experiences as female leaders in AFROTC. Snodgrass explains that while the Air Force is male dominated, AFROTC has a substantial number of females in the program and those numbers are only growing. Snodgrass and Eifert both went on to say that the cadets in AFROTC are looked at by how well they can perform each task at hand, not by one’s gender. The dedication, strength and leadership displayed by both Eifert and Snodgrass is what led them to being selected for Flight Commander and Deputy, respectively. Together, they are responsible for mentoring, teaching and training 20 cadets beginning this spring.